Commencement ceremony in Alex G. Spanos Center, May 21, 2016. Saturday, May 18 | 9 a.m. - 11 a.m.
At this ceremony, President Eibeck will confer degrees, students will walk across the stage and will be hooded and outstanding student leaders will be recognized. Graduates and Faculty assemble at 8 a.m. at the southeast entrance of the Alex G. Spanos Center. This ceremony is NOT a ticketed event. 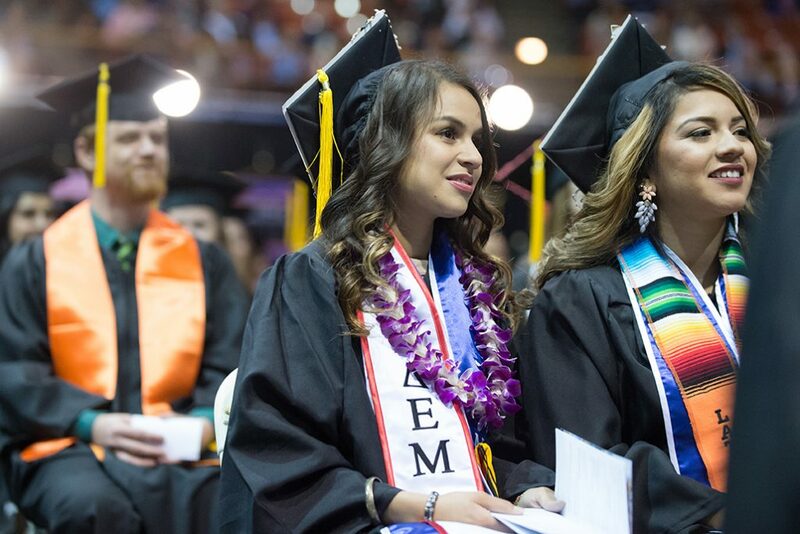 We cordially invite you to attend a special reception for our graduates and guests immediately following the Commencement Ceremony outside of the Alex G. Spanos Center.